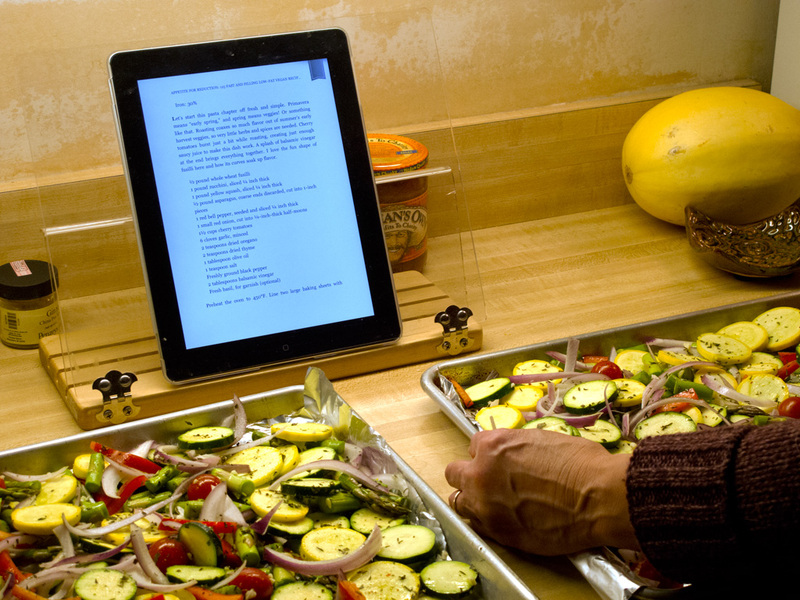 An iPad replaces a printed cook book in the kitchen. Certainly looks delicious! …erm… the food that is, not the iPad. I could see myself doing that as well. It’s actually easier to look recipes up Online than in a book! Andy does it all the time.